A business bankruptcy is a topic frequently misunderstood. Sometimes, a CORPORATE bankruptcy filing is what is meant. In other words, the corporation itself files bankruptcy, not the individuals that own the corporation. Corporations may generally file a Chapter 7 bankruptcy (to completely go out of business) or a Chapter 11 bankruptcy (to reorganize and frequently stay in business). However, when a corporation files bankruptcy, that does NOT protect the individuals who guaranteed the corporate debts. Why would a corporation file a Chapter 7 bankruptcy? Answer: To go completely out of business and to have the assets of the corporate entity sold in a fair and organized fashion. Does a corporation get a discharge in a Chapter 7 bankruptcy? Answer: NO. A corporation is never forgiven of its debt in a Chapter 7. Therefore, the corporation should never be operated again, even after the bankruptcy is over. If a corporation does not receive a discharge in a Chapter 7 bankruptcy, why file such a case? Answer: A corporation should really only file for a Chapter 7 bankruptcy if it has substantial assets and there is a likelihood that the assets will not be fairly and efficiently liquidated. Most small corporate entities do not need to file a Chapter 7 bankruptcy. Can a corporate entity still conduct business after it files a Chapter 7 bankruptcy? Answer: Absolutely not. It must immediately cease operations. Why would a corporation file a Chapter 11 bankruptcy? Answer: To stay in business by reorganizing the corporate debt. Generally speaking, Chapter 11 bankruptcies are good for buying time to pay back certain critical creditors with the added benefit of discharging unsecured debts. Every case is different and needs to be carefully analyzed since there are many rules and exceptions. Is a Chapter 11 bankruptcy expensive? Answer: Yes. Attorney fees for Chapter 11 cases usually start at $15,000 paid up front and increase from there depending on the complexity of the case. Many Chapter 11 bankruptcy cases costs tens of thousands of dollars due to the extensive amount of legal time necessary to deal with all of the creditors. Is Chapter 11 a realistic option for a small business? Answer: Normally, no. There are always exceptions, but Chapter 11 is almost always too expensive for a small business to afford. Does filing a corporate Chapter 11 bankruptcy protect the owners and the individuals who may have guaranteed corporate loans? Answer: No, not generally. There are very rare exceptions, however. By comparison, sometimes a business bankruptcy really means that the individuals who guaranteed the corporate debt file personal bankruptcy as a result of the business debt. An individual with business debt may file a Chapter 7 bankruptcy, a Chapter 13 bankruptcy or, in rare cases, a personal/individual Chapter 11 bankruptcy. The most common, effective and affordable way to protect the owners who guaranteed the business debts of a corporation is for those individuals to file a personal bankruptcy under one of the above mentioned chapters. 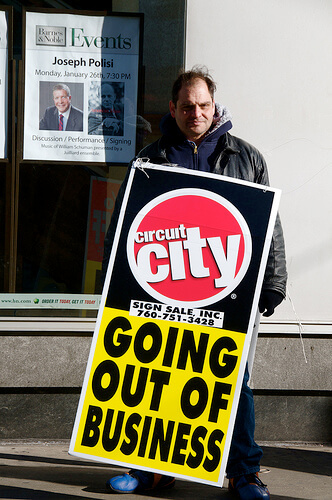 Business bankruptcies in Omaha and elsewhere are generally of this type. The individual debtor finds himself or herself in need of a “business bankruptcy” as a result of the failure of an underlying business and not because of their personal debts. Moreover, the bankruptcy laws do, in fact, make a favorable distinction for people filing for a Chapter 7 bankruptcy to rid themselves of business related debt. Specifically, an individual with business related debts may file a Chapter 7 bankruptcy regardless of how much money they make if the majority of their debts are business related. This is a significant point to consider and a huge issue for careful analysis when an individual needs to file a Chapter 7 bankruptcy related to a business failure. Business bankruptcy has different meanings to small business owners versus large corporate entities. A business bankruptcy in Omaha almost always means that the individual owners of (or investors in) a corporation need to file a personal bankruptcy to free themselves from a failed business venture of one sort or another. However, many individual business owners who file personal bankruptcy to lift the burden of significant debt are able to rebuild a new business almost immediately. Sometimes, filing bankruptcy due to business debt is the first step necessary to building something new.